There are many reasons to remove dairy from your diet: you’ll lose weight, improve your health, reduce lead and pesticide intake (228), and strengthen your bones. You read correctly; stopping consumption of dairy will make your bones stronger. The natural-occurring sugar in milk, galactose, has been blamed for an increase in bone fractures, cancer and death (233). Yes, milk is bad for your bones and may even cause cancer. All milk, even low-fat milk, and cheese “…appear to increase prostate and cancer risk” (214). The dairy industry is a for-profit money-maker, like cigarettes, and tells lies to get you to buy their products. Remember the claim that cigarettes weren’t harmful? Milk contains trans-fat (261), and saturated fat (260), which has been proven to harm our health. Studies with 100,000 men and women, tracked for 20 years, suggested that milk may increase bone fractures (214). “Scientists actually use galactose (milk sugar) to induce premature aging in lab animals” (215). I eat a 100% dairy-free diet and I have strong bones and can do more push-ups than most women (and men). To stay strong, I lift weights, take calcium and vitamin D, and eat a variety of proteins, vegetables, grains, seeds, nuts and fruits. You don’t need dairy and you shouldn’t eat or drink it. Have a coconut smoothie with frozen banana chunks instead of milk. Use oil instead of butter. Try soy or coconut yogurt. There’s even dairy-free dark chocolate (my favorite is Enjoy Live Boom Choco Boom Bar) and ice cream (So Delicious is yummy). Want to go dairy-free, but need help? 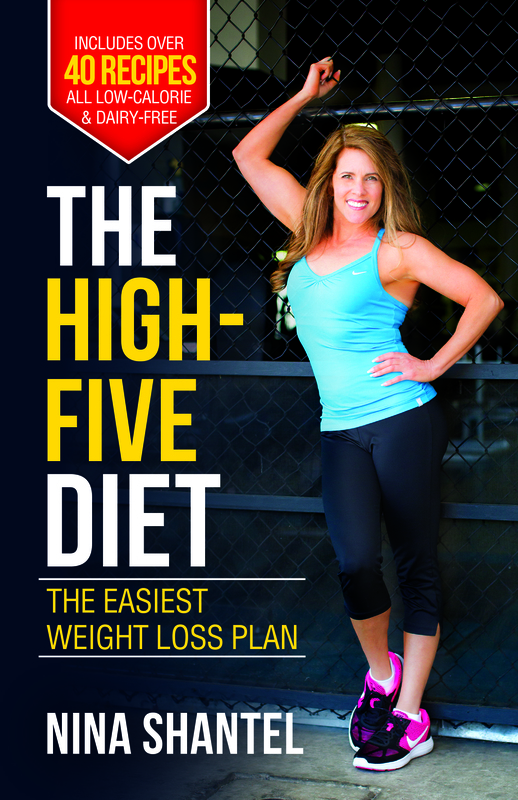 You can buy my diet/cookbook with over 40 recipies from http://www.thehighfivediet.com No one wants cancer, weak bones, or to age and deteriorate faster. Don’t just agree, make the change. Aren’t you worth it?